Offering unbeatable versatility, the lightweight F70 will power a wide range of boat types, so it’s equally at home when you’re working, or if you’re out to experience the fresh air and fun of leisure boating and watersports. In fact, the F70 is the lightest, most powerful 4-stroke in its class. For cleaner performance, maximum fuel efficiency and easy starting, the powerful 16-valve SOHC engine features EFI (Electronic Fuel Injection) and Yamaha’s unique PrimeStart™ system. 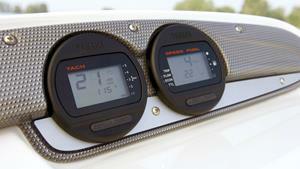 Compatibility with Yamaha’s Digital Network Gauges delivers precise control too. Sleek and stylish too – your F70 is sure to attract admiring glances from everyone – whether aboard or on the shore. 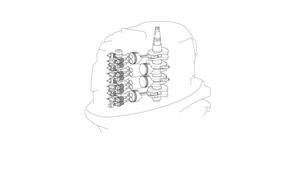 The F70’s advanced, lightweight powerhead design features a single overhead camshaft (SOHC) with four valves per cylinder, for maximum power and efficiency. A large intake valve area with lightweight pistons and valves give class-leading horsepower-per-litre. The Yamaha F70 provides outstanding ‘out of the hole’ acceleration, thanks in part to the lower gearcase design which features a high gear ratio of 2.33:1. The extra toughness comes from the fact that all gears (Forward, Reverse and pinion) are specially hardened for increased durability. The Y-COP immobiliser system is simple, easy to use and highly effective – a neat and simple remote control locks or unlocks the engine’s ignition system at the push of a button. 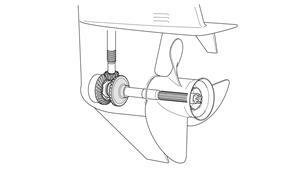 This prevents your outboard engine being taken for an unauthorised joyride, offering you peace of mind when leaving your boat unattended. The F70 is compatible with Yamaha’s Digital Network Gauges, giving you the information needed to maximise engine performance and efficiency, including: a Multifunction Tachometer with RPM, Hours Run, Trim Angle, Oil Pressure, Warning lamps and Variable RPM control; and a Speed/Fuel Management Gauge with Speed, Tank Capacity and Fuel Economy. With the press of a button on the optional Digital Network’s Tachometer – or via the variable trolling RPM switch on the optional multi-function tiller handle – the driver can adjust the engine speed for relaxed trolling, in precise steps of 50 RPM, between 620 and 900 RPM. With the advanced design and modest overall dimensions of this 4-cylinder unit, our engineers have produced a remarkably compact 996cc powerhouse, but with a low weight that is comparable to a conventional 3-cylinder engine. 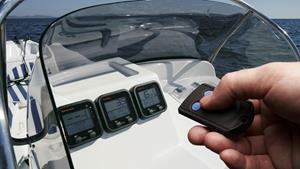 So the F70 has power-to-weight ratios that make it the ideal choice for a wide range of boats.